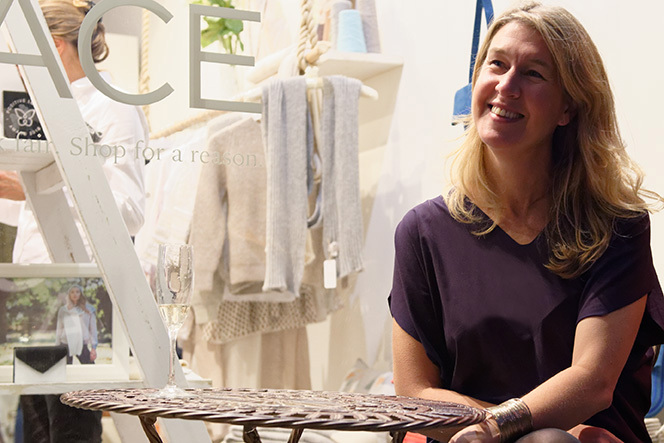 Longing for the opportunity to create, I caught up with ethical fashion brand founder Alison Baker to talk about Ally Bee, fast fashion and what it takes to start a sustainable business. 1) From lawyer to entrepreneur and designer… What inspired you to take the leap from full time employment to starting your own sustainable business? When I took the leap from the legal profession into starting my own ethical fashion business, it felt like the right door had finally opened. Law deals so often with confrontation, but I am much better at working collaboratively, and practically pulling all the pieces of a puzzle together. And I longed to make something from concept through to final iteration, I just never quite knew what that thing would be. So, when I came up with the idea of luxury knitted scarves, hats and jumpers from scratch, from sourcing the raw source of fibre through to making, although it was completely ‘off the programme’ for me, it felt somehow a natural thing to do. I’m a great believer in reinvention and I’ve long been passionate about the protection of the environment, so the idea of creating useful, beautiful fashion from a renewable, low impact resource was just the impetus I needed to take the first leap. 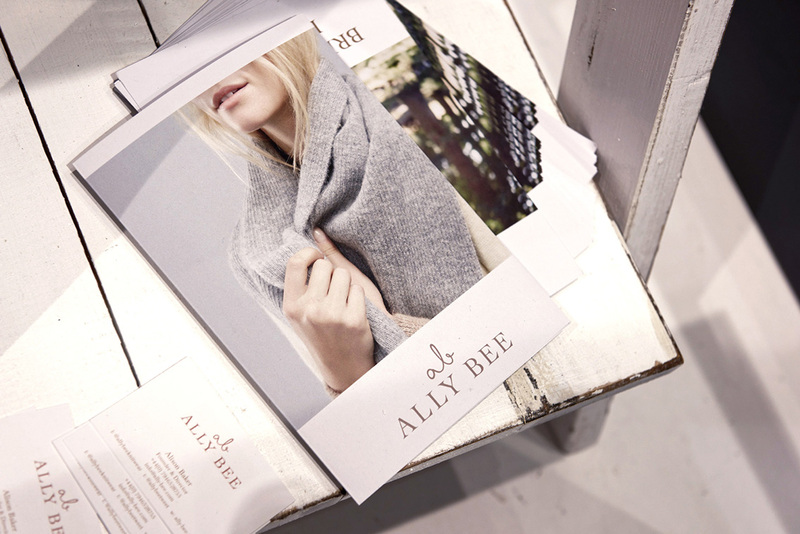 2) How long did you work on Ally Bee prior to launching and what was involved in your behind-the-scenes research? Tell us about this journey. 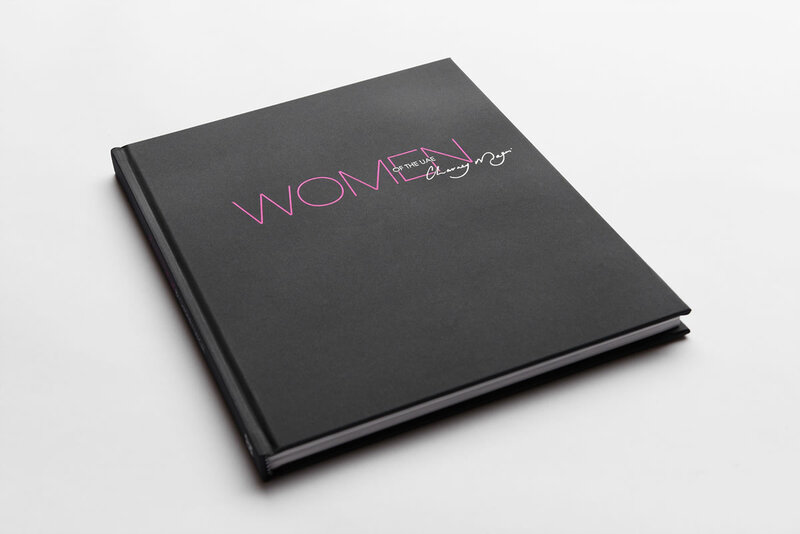 It was almost 2 years from first initial idea, to launch in 2014. It started ‘between law jobs’ when I had a random opportunity to sell alpaca jumpers and scarves on consignment for a Peruvian fashion label. The sales venture was thoroughly unsuccessful, but it sparked in me the idea of making beautiful knitwear from a British-sourced luxury fibre. I knew nothing about making knitwear, or yarns and had no contacts in manufacturing so I cold-called yarn spinners and spoke to alpaca farmers and probably every knitwear manufacturer in the country to find if my idea was even a theoretic possibility. I went to the Première Vision trade show in Paris to find out more about yarns, I went to fashion business seminars and fashion networking events and I took a machine knitting course. Eventually, with just enough knowledge to get me started, I convinced a small manufacturer in the Scottish Borders to test some yarns for me, and he has been working with me ever since. 3) What are your main goals and objectives in starting your own ethical brand and why is this important to you? So many premium knitwear labels are making skilfully crafted collections, in the latest seasonal colours. These designers clearly know their craft and choice of yarn, but the impact of the making of the fibre, how the yarn is processed, dyed and disposed of at the end of its life is a secondary concern. My aim is to make jumpers and scarves that can hang proud alongside these beautiful collections, but stand apart because the originating fibre is both luxurious and has a gentle touch. The origins and integrity of the yarn is my point of difference. I remain true to the materials wherever possible. I avoid dyes, and use no synthetic additives. At the end of its lifecycle the product will go back to the earth without causing harm. My objective is to offer consumers an alternative that does not compromise on beauty, quality or practicality. 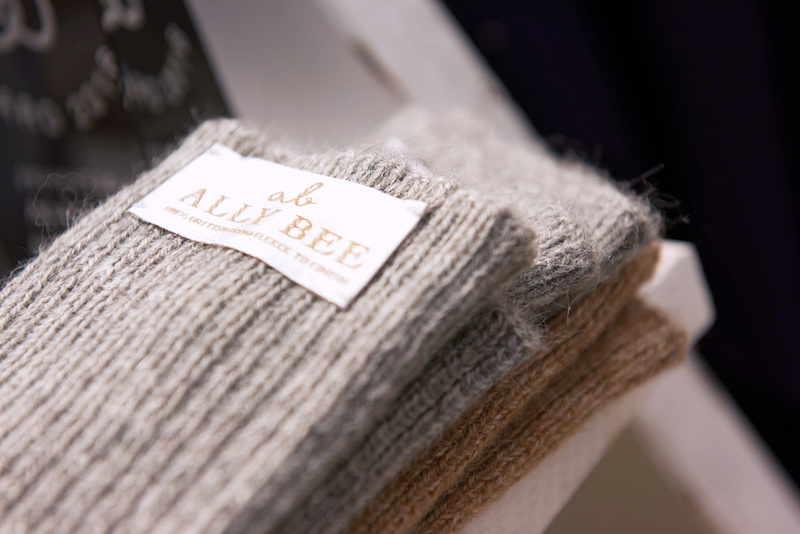 That is what I am passionate about promoting, and that is why I have brought Ally Bee knitwear to market. I remain true to the materials wherever possible. I avoid dyes, and use no synthetic additives. At the end of its lifecycle the product will go back to the earth without causing harm. My objective is to offer consumers an alternative that does not compromise on beauty, quality or practicality. 4) Do you design your products yourself? Can you explain this process? Though I have a vision for how I want my jumpers and scarves to look and feel, I lack the knitwear design background to translate my ideas into swatch ideas or technical specifications. Two years ago I was very fortunate to be introduced to Jessica Gaydon, a highly creative and experienced knitwear designer who for the past 2 seasons has freelanced for me to bring my ideas to life. 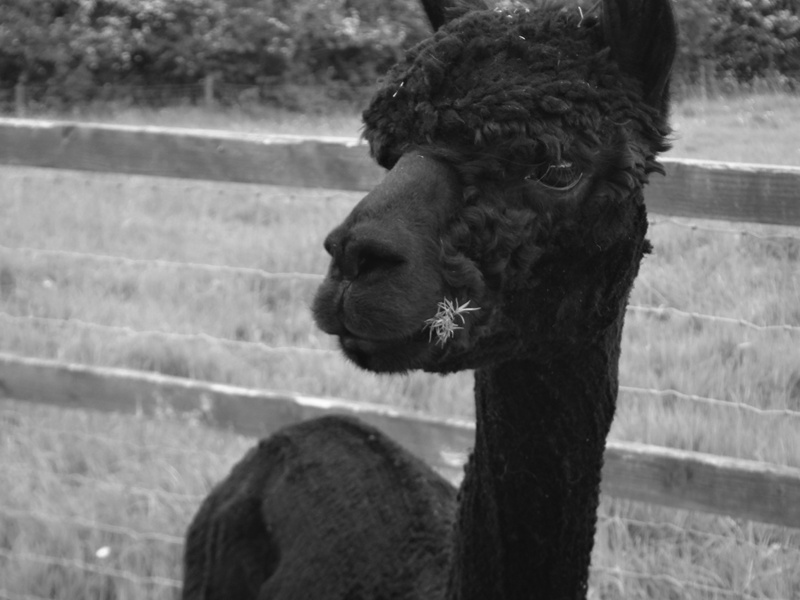 There has been a lot of learning for both of us as we discover the idiosyncrasies, and limitations, of working with British alpaca yarn. We share a vision to create pieces that are understated, reliable and will be treasured. She has a wealth of knowledge on stitch and colour concepts, and she can translate our shared vision into technical specifications. She simply loves working with my bespoke yarns and she is a dream to work with! 5) Why is sourcing locally grown products, chemical free and natural fibers so important to you? Fast fashion is responsible for churning through resources at an unprecedented rate, leaving a trail of waste and pollution. I don’t want to be a part of this. Listed companies measure success through shareholder value, without regard for the true environmental and social cost underpinning production. It is crazy, but no legislator dares interfere with this status quo beyond setting basic compliance requirements. There’s got to be a cleaner, safer, fairer way of making stuff – a new standard. It is a tiny drop in the ocean, but if I can produce a knitwear collection with a gentler touch than fast fashion, then I think I have done a small part in countering the mainstream ‘business as usual’. 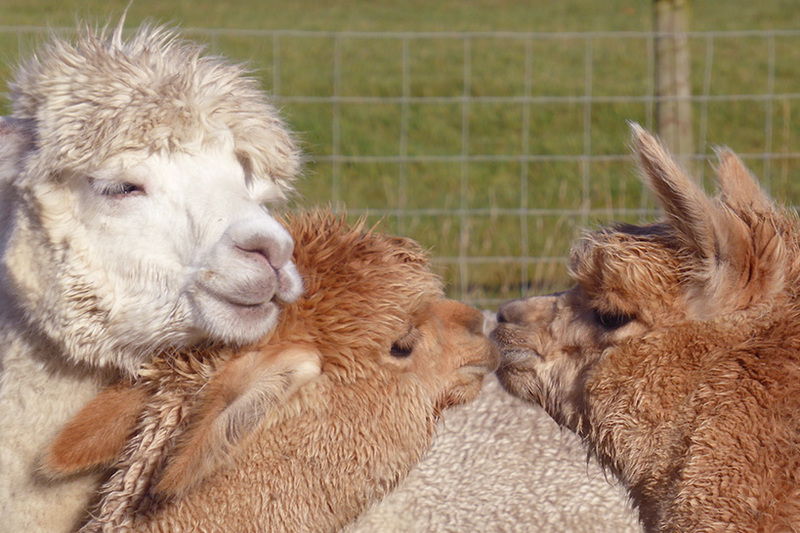 And as for all the fashion labels adding acrylic to alpaca yarn – I call that a crime against yarn! 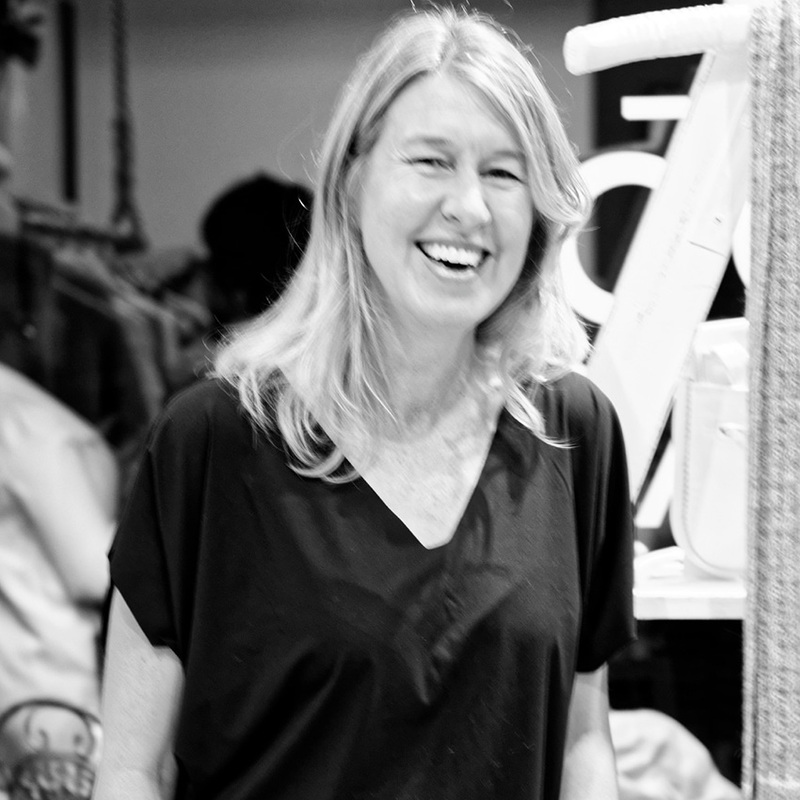 6) Before founding Ally Bee, how did you perceive fast fashion? 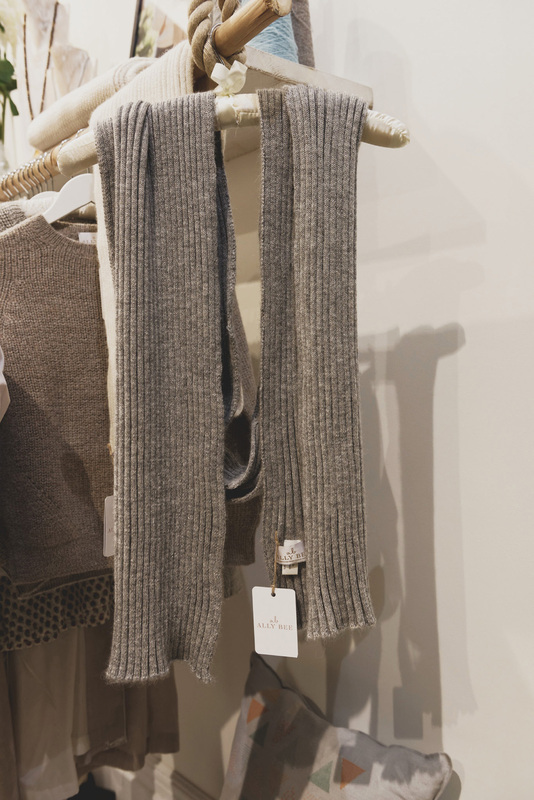 Do you think smaller, ethical brands – like your own – will influence consumer demands, ultimately making larger fashion retailers revisit their own sustainable business practices? My perception of fast fashion was growing increasingly tarnished well before I founded Ally Bee. Once I started learning about the mechanics of the fashion industry – the wastage, the toxic run-off, desertification through cotton production – my buying habits also changed significantly. I am not alone – there is a growing market of consumers looking for a better, smarter way to shop. I think small brands have the flexibility and optimistic spirit to fill this growing niche for more ethically made collections, but what the small labels are producing fails to cover all the gaps in the range of ethical alternatives. That is why the big brands need to clean up their act. The big boys need to be brave and apply long-sighted, enlightened self-interest and clean up supply chains from the raw source through to production and end of life. Move beyond the greenwash and look to a lasting legacy our kids can be proud of. There needs to be a new way of accounting for social and environmental cost of production, so that when time and resources are spent on creating a more transparent and cleaner supply chain it is considered to be a long-term cost saving exercise rather than an unnecessary expense. 7) What obstacles have you faced along the way in starting up your own eco friendly brand and working for yourself? I have paid for bad advice, I have had empty promises from time-wasters, I am on to my fourth web developer – the usual costly false starts and obstacles for a start up. An obstacle particular to knitwear is the fact that I do not have an extensive stock yarn service to rely upon. 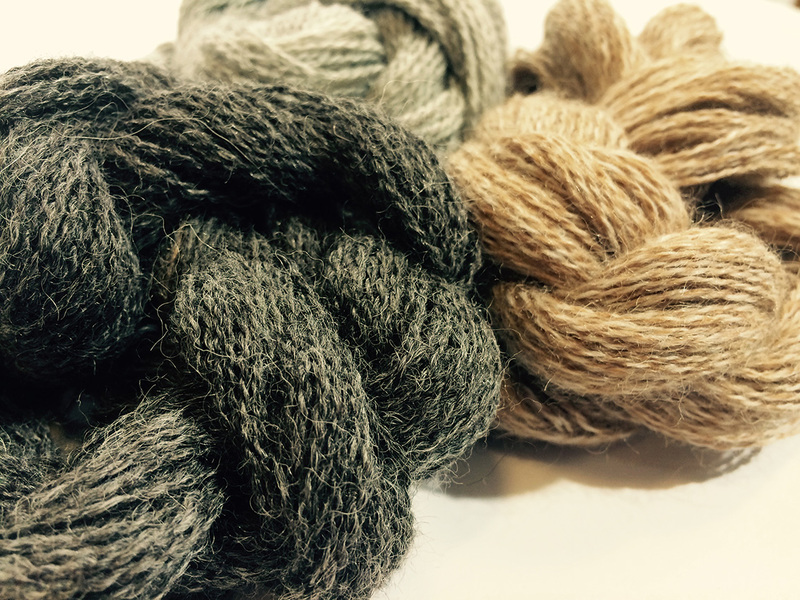 There is a considerable extra risk, and cost, associated with creating new batches of yarn each season rather than relying on a ready made stock. But for every obstacle there is a solution. 8) What do you think has been your biggest achievements so far in both your personal life and your professional life? How do you think this has helped you grow Ally Bee? I am no stranger to re-invention, in other words I have changed career paths many times. This has taught me resilience. Developing a business from concept to product has been a big personal achievement for me and managing to treble turnover in the second year has been confirmation I am taking the right direction with that concept. It has definitely made me more confident and outspoken on issues, particularly as I become more fluent in the issues surrounding environmental issues in fashion. 9) As an inspirational mum of 2, can you give us any tips on how you manage the daily juggle? To be honest I could not do this with very young kids. My 2 wonderful children are in their early teenage years and there are no more school runs swallowing up the day, and they have their own activities to get on with after school. I can’t quite explain how I manage to juggle a business and be a reasonable parent except to say that I delegate more responsibility to the kids than perhaps others are prepared to do. My kids are patient and understanding and sensible – so I am very fortunate. 10) Based on your own experience what advice would you give to someone wanting to do the same whom is inspired by your story? Don’t be put off by the fact that at the beginning you do not know everything about the business you are going into. If you let this overwhelm you then you will never take a leap into the unknown territory of starting up a business. Instead grab on to the one thing that you instinctively feel good about, and make that your starting point. Don’t be afraid to ask stupid questions and be a very good listener. But be realistic about the start up costs and how much you can afford to lose before the wolf is at the door. Ignore all the ‘zero to hero’ stories, don’t ever assume you will be one of them. The reality is a long stretch of no income. So, be wise about money and that includes being very mindful of who you trust. When you start out and ‘you don’t know what you don’t know’, there a plenty of experts who promise they can fill this void of knowledge – you’ll be surprised when you look back and realise they never knew the full picture. Don’t be afraid to ask stupid questions and be a very good listener. 11) What does ‘time-out’ or ‘relaxation’ look like to you? How do you keep yourself mentally and physically healthy? Spontaneous walks by the Thames when the brain has turned to mush, playing guitar, kayaking on the Thames and catching up with friends. And escaping from London whenever possible. 12) What’s next for Ally Bee? To realistically grow the business I need to diversify my source of supply. 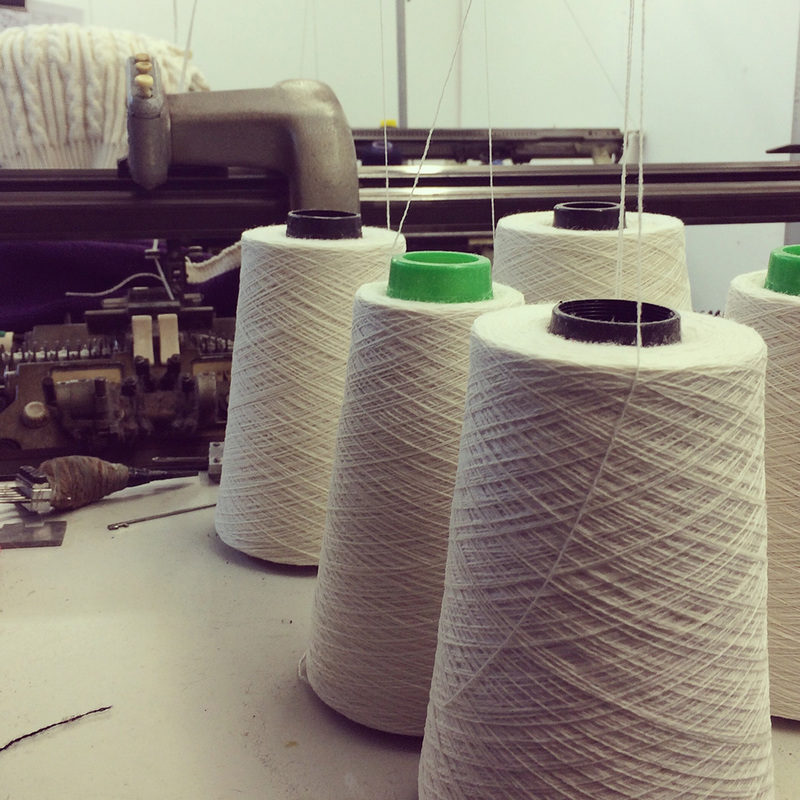 Running a knitwear label without the security of a stock service of yarn is currently limiting my ability to grow both volume and a wholesale business and this raises uncertainty about the commercial sustainability of the business in the long-term. Therefore, as much as I love working with British-sourced yarns, I cannot rely on this as my sole source of materials and I am now exploring sources further afield with a transparent supply chain. I am watching with particular interest the development of the MySource platform which builds on years of work by the Ethical fashion Forum to align ethical suppliers with makers and brands. I am a big believer in the potential of this platform. Anyone looking to make a serious mark in fashion should take a close look at what MySource are seeking to achieve. 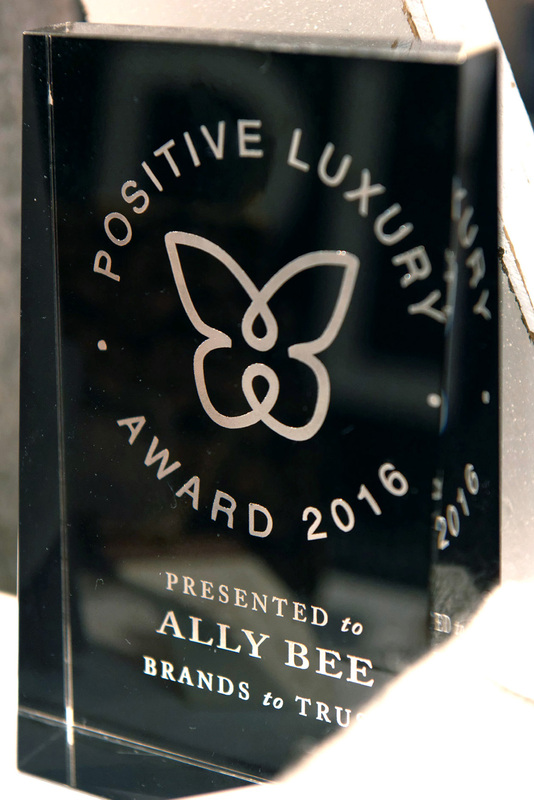 For more information and to keep up to date visit Ally Bee’s Instagram, Facebook and Twitter pages.